September 2015, Vol 36 No 3 p.36, titled ‘Who needs to Know?’ It has since been republished in the Australian Doctor magazine 30 October 2015. The essay is based on a talk presented to the Victorian Skeptics May 2015 ). Anti-vaccination campaigner, Meryl Dorey is on record as saying that we should ‘do our own research’ instead of accepting what the doctors and other qualified experts tell us. Seasoned skeptics will be aware that ‘Do your own research!’ is a common retort by cranks and conspiracy theorists to those who dare to doubt their claims. It is a convenient escape hatch they use when trying to win a debate without the bothersome burden of providing their own evidence. Of course, what they mean by this exhortation is not to do any actual scientific or medical research. It takes a bit of tertiary education in the relevant field to be able to do that. For them, ‘research’ means nothing more than googling for an hour or so on the Internet. They naively equate such googling with the years of study and experience it takes to become a qualified expert. Their message is that anybody with internet access can become an instant but unqualified expert on anything. Or worse still, that expertise doesn’t even count – all opinions are equal. The reality is that googling is a notoriously unreliable source of information – there are sound reasons why Wikipedia is not allowed to be cited as a source in university assignments. The problem is that without expertise in the field in question, few googlers are capable of knowing which sources are reliable and which aren’t. Anything found on the internet becomes ‘knowledge’. Mere opinions become ‘facts’. 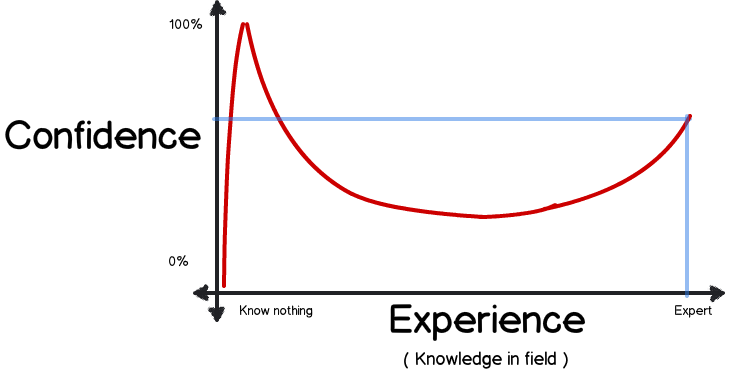 This paradox gives rise to a famous result in experimental psychology known as the Dunning-Kruger Effect. Named after Justin Kruger and David Dunning, it refers to a study they published in 1999. This study found that people who lack the knowledge or wisdom to perform well are often unaware of this fact. This is almost more dangerous than complete ignorance, because unlike Donald Rumsfeld, they don’t even know what they don’t know. Professor Tom Nichols, a US national security expert wrote last year about the ‘death of expertise’; a Google-fueled, Wikipedia-based, blog-sodden collapse of divisions between professionals and amateurs, teachers and students, knowers and wonderers – between those with any expertise in an area and those with none at all. He sees this situation as not only a rejection of knowledge, but also the processes of knowledge acquisition – a rejection of science and other pursuits of rationality. Nichols is particularly critical of otherwise intelligent people who are ‘doing their own research’ on the internet and second-guessing their doctors by refusing to vaccinate their children, leading to an entirely avoidable resurgence of dangerous infectious diseases such as whooping cough and measles. So how did it all come to this sorry state of affairs? I think that there are basically four contributing factors: the blurring of facts and opinions; a misunderstanding of democracy; a misunderstanding of the Argument from Authority; and the dissipation of media accountability. I will now discuss each of these factors in turn and then outline some benefits of listening to experts. According to the Stanford Encyclopaedia of Philosophy, a fact is a state of affairs that is the case. The usual test for a statement of fact is verifiability; that is, whether it can be demonstrated to correspond to experience. Scientific facts are verified by repeatable careful observation or experiment. In other words, a fact is that which makes a true statement true. For instance, the statement ‘It is raining’ describes the fact that it actually is raining. The rain that falls can be objectively measured in a rain gauge – it is not just a matter of opinion. On the other hand, an opinion is a judgment, viewpoint, or statement about matters commonly considered to be subjective, such as ‘It is raining too much’. As Plato said: ‘opinion is the medium between knowledge and ignorance’. The last few decades have seen the growth of a postmodernist notion that truth is culturally relative and that all opinions are equal. What’s worse is a gradual blurring of the important distinction between facts and opinions. A disturbing feature of the public debate about climate change is the confusion between science and policy. Because they conflict with some political policies, there is a tendency for the findings of climate scientists to be treated as ‘just another opinion’. This is a marked change from a few decades ago, when the findings of epidemiologists about the links between smoking and cancer were widely accepted as facts rather than opinions. Deakin University philosopher Dr. Patrick Stokes has argued the problem with ‘I’m entitled to my opinion’ is that it has become shorthand for ‘I can say or think whatever I like’ without justification; and that disagreement is somehow disrespectful. Stokes suggests that this attitude feeds into the false equivalence between experts and non-experts that is an increasingly pernicious feature of our public discourse. Professor Michael Clark of LaTrobe University gives an example of a public meeting recently, when a participant asked a question that referred to some research, a senior public servant replied: ‘Oh, everyone has a scientific study to justify their position, there is no end to the studies you could cite, I am sure, to support your point of view.’ Clark describes this is a cynical statement, where there are no absolute truths and everyone’s opinion must be treated as equally valid. In this intellectual framework, the findings of science can be easily dismissed as one of many conflicting views of reality. A common response from cranks and conspiracy theorists (and even some skeptics) to citations of expertise is ‘that’s just the argument from authority fallacy’. Such a response ignores the obvious fact that all scientific papers and other forms of academic writing are chock full of citations of experts. The notion that the written outputs of the world’s universities and scientific institutions are all based on a logical fallacy is preposterous. Anybody who thinks that has clearly not thought through the implications of what they are saying. Although reliable authorities are correct in judgments related to their area of expertise more often than laypersons, they can occasionally come to the wrong judgments through error, bias or dishonesty. Thus, the argument from authority is at best a probabilistic inductive argument rather than a deductive argument for establishing facts with certainty. Nevertheless, the probability sometimes can be very high – enough to qualify as a convincing cogent argument. 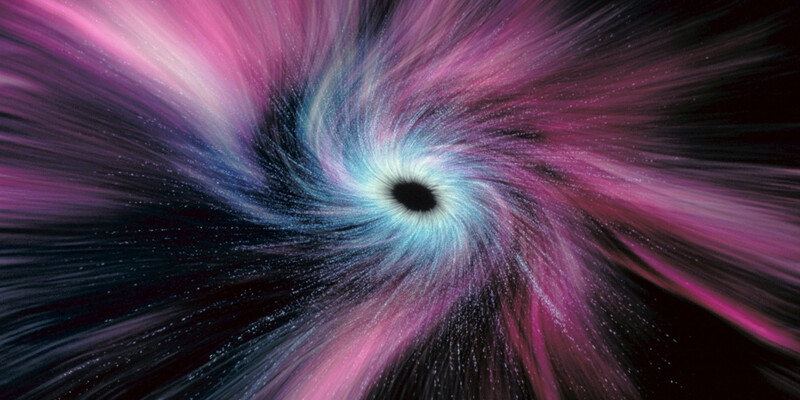 For example, astrophysicists tell us that black holes exist. The rest of us are in no position to either verify or refute this claim. It is rational to accept the claim as being true, unless and until the claim is shown to be false by future astrophysicists (the first of whom would probably win a Nobel Prize for doing so). An alternative explanation that astrophysicists are engaged in a worldwide conspiracy to deceive us all would be implausible and irrational. Thus there is no fallacy entailed in arguing that the advice of an expert in his or her field should be accepted as true, at least for the time being, unless and until it is effectively refuted. A fallacy only arises when it is claimed or implied that the expert is infallible and that therefore his or her advice must be true as a deductive argument, rather than as a matter of probability. Criticisms of cogent arguments from authority can actually be a rejection of expertise, which is a fallacy of its own. The Argument from Authority is sometimes mistakenly confused with the citation of references, when done to provide published evidence in support of the point the advocate is trying to make. In these cases, the advocate is not just appealing to the authority of the author, but providing the source of evidence so that readers can check the evidence themselves if they wish. Such citations of evidence are not only acceptable reasoning, but are necessary to avoid plagiarism. Expert opinion can also constitute evidence and is often accepted as such by the courts. For example, if you describe your symptoms to your doctor and he or she provides an opinion that you have a certain illness, that opinion is evidence that you have that illness. It is not necessary for your doctor to cite references when giving you his or her expert opinion, let alone convince you with a cogent argument. In some cases, expert opinion can carry sufficient inductive strength on its own. I have no doubt that the benefits of the internet generally outweigh the costs. However, there are some downsides that need be considered rather than just glossed over. An obvious negative is the decline of newspapers and competent professional journalism. Specialist science or medical journalists are a rarity these days. Generalist journalists often get their science stories wrong, or engage in misleading false balance – the equating of professional expertise with amateur ignorance. Another problem is the blurring of the distinction between journalism and blogging – and I say this as a blogger myself. Unlike bloggers, journalists are subject to professional standards and editorial control. Some bloggers are anonymous, which removes their accountability to even their own readers for the accuracy of what they write. There is a risk that when non-experts google, they are inclined to give equal weight to information from both professional journalists and amateur bloggers, regardless of its reliability and accuracy. Whilst experts are human and can mistakes, they have a pretty good batting average compared to laypersons. The advice that experts provide is far more likely to be true than advice from non-experts in the field in question. This has obvious benefits for society as a whole, for example in terms of public health and safety, environmental protection and managing the economy. There are good reasons why we don’t let amateurs design aircraft, bridges and tall buildings. But there are also some major benefits for the individual in listening to advice from experts as opposed to non-experts. For instance, if you trust your doctor, you’re actually more likely to do better when you’re sick, according to a study recently published by General Hospital Psychiatry. This study, of 119 people with either breast, cervical, intestinal or prostate cancer, found that from three months following diagnosis, those patients who did not trust their doctors were not only more distressed but also more physically disabled. They were less likely, for example, to be able to go for long walks or take care of themselves. Patients who felt anxious about being rejected and abandoned suffered the most from not trusting their doctors. Trusting your doctor has clear health benefits. You’ll be more likely to try new drugs, follow your treatment plan (jointly agreed with your trustworthy doctor), share important medical information, take preventative measures (e.g. screening) and have better-controlled diabetes and blood pressure. Up to half of the failures in treatment reported by patients are due to not following the regime suggested by doctors. This increases the risk of hospitalisation and extended ill health. Another study at the University of California has found a small but statistically significant association between how much patients trusted their doctors and how much their symptoms improved within two weeks (allowing for different factors that could have influenced the outcome). Clark, M., and Lawler, S., ‘Why we need to listen to the real experts in science’. The Conversation. January 1, 2015. Harding, T., ‘Argument from authority’. The Logical Place. June 23, 2013. Hinnen et al. ‘Lower levels of trust in one’s physician is associated with more distress over time in more anxiously attached individuals with cancer’. Gen Hosp Psychiatry. 2014 Jul-Aug;36(4):382-7. Lewandowsky, S., and Pancost, R., ‘Are you a poor logician?‘ Logically, you might never know’. The Conversation. November 6, 2014. Nichols, T., ‘The Death Of Expertise’. The Federalist, January 17, 2014. Stokes, P., ‘No, you’re not entitled to your opinion’. The Conversation. October 5, 2012. Thom, D.H., et al. ‘Measuring Patients’ Trust In Physicians When Assessing Quality Of Care’. Health Aff (Millwood), University of California. 2004 Jul-Aug;23(4):124-32. Nichols, T., ‘The Death Of Expertise’. Oxford University Press, 2017. The problem is that in most social sciences/ humanities there are very few ‘facts’ at all but informed opinions. The problem with informed opinions is it is dependent on the questions asked and the direction of research which is very much influenced by the social and political situation. For example as academics are now 95%+ left wing, due mainly to self selection, any view that has a political dimension must be judged on this. For example if 95% of academic opinion supports the left wing idea then this is equivalent to a 50/50 split of opinion. The fact, for example that the vast proportion of academics in the USSR supported and published support for communism is not suppprt for communist theory. The article confuses two kinds of opinion: “It is raining too much” is mere opinion because it is subjective, and what is too much for the cricketer may be not enough for the farmer. “It will rain tomorrow” is mere opinion because it is uncertain (even if these days it may be based on good extrapolation from present evidence); by the end of tomorrow we will know whether the opinion was correct. I think that you are the one who is confused Paul. Different kinds of opinion are not relevant to establishing a distinction between fact and opinion, which is all that the essay attempts to do. If all you are concerned to do is to establish that opinions =/= facts, what you say is true. But if you want to talk about how and why why opinions differ from facts, the distinction matters. So many fallacies in one little dismissal.